After we got packed up in busses we all decided to go out for dinner. Pete made reservations and paid for us all when we got there. Of course I sat next to Brendon. He had his hand sitting on my thigh and I could tell he was still worried about my anxiety attack. Pete was across from me and he wouldn&apos;t stop staring at me with concern. Soon a black haired lady wearing a waitress uniform came to take our orders. As soon as my eyes met hers I ran off as fast as I could to the bathroom. I locked the door and broke down crying. It was Sarah. How the hell did she get here? "(Y/N)! Where are you" I stop as soon as I see...her. It was Sarah. All the other boys had known about the incident with Sarah. I guess Pete was the last to know but still when I took off to find (Y/N), Pete followed me. I started banging on the restroom door. heard crying and water running. I looked at Pete trying not to think of what she could be doing. He gave me the same worried expression before he to also started banging and pounding on the door. "(Y/N), I know your scared, open the door, please!" Pete shouted. We just heard more sobbing and that&apos;s when Pete body slammed the door which made it fly forward. And there, was a sight I had never wanted to see. Blood all over the sink, (Y/N)&apos;s wrist under running water and tears running down her face. I ran to her as fast as I could trying to help but the tears in my eyes were to strong. I looked over to Pete and he had glossy eyes. "G-go get j-josh and t-Tyler" I choked out. Pete nodded and got them. I put a rag over (Y/N)&apos;s wrist stopping the blood flow. by the time Tyler and Josh get there im sitting in a corner of the bathroom with (Y/N) in my lap. Just sitting there breathing heavily. Tyler was the first to run over you her. "Why" He asked tears falling from his eyes. "Listen she doesn&apos;t want to talk about it. Lets just say it had something to do with Sarah" I say and he nods. We talk for a bit and decide to walk to the table. "So, are we ready to order?" Sarah asks as soon as we sit down. Me and Brendon sigh and order. 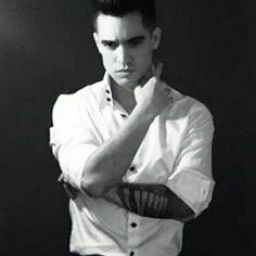 As Sarah walks away she ruffles Brendon&apos;s hair and then I lose it. I run up behind her and pull her hair so her head is facing the celling. "Listen girly, you touch my man, I repeat MY man one more time I will break you. And im not just saying that, I will seriously"  say but get cut off. "Aiden"  hear a voice in the background say. 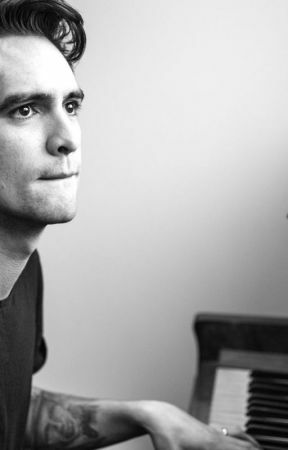 I turn to see Brendon with a sad look in his eyes. "What?" I ask letting go of Sarah&apos;s hair. She runs off and I walk over to Brendon who shows me his phone. I see a picture that I cant handle. I break down crying at the sight of a cut in Aiden&apos;s Wrist. Hey everybody, I just wanted you to know that I can do this any longer. I just found the love of my life to be with the most amazing guy in the world, to her at least. We had worked everything out and we were still great friends. But after she left, I knew there was no point anymore. She was gone, and with the perfect one. I knew I couldn&apos;t be better in any way. Listen, (Y/N), I know I promised, but I also know I lost you again. There is no point for me anymore. I couldn&apos;t help but fall to the floor crying. "Aw, looks like scar face has a new love, poor Brendon, looks like someone was just using you" Sarah says. Those last words sounded like they were said in slow motion. &apos;just using you&apos; I was to drained to care but Pete wasn&apos;t. He took off after her and held her up against the wall by her throat. "Don&apos;t you ever say that again." He says in a deep, almost un-human voice. Patrick had to pull Pete off and Brendon had to carry me bridal style to the bus. Pete decided to stay in our bus and sleep on the couch. "Im so sorry" He said. I burst out into tears crying on Pete&apos;s shoulders.